After 12 years in Arsenal, Theo Walcott has finally call it quit and he is now an Everton player. Theo Walcott was bought from Southampton in 2006 and since then he has become one of the greatest player to put on the Arsenal shirt. 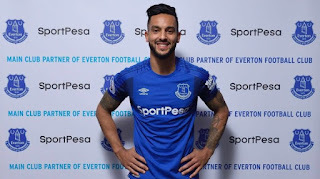 Theo Walcott has now sign a three-and-a-half-year deal at Goodison park and he has revealed he wants to help Everton push for title. Speaking to Everton's official website, Walcott said: "I'm very ambitious and I've come here because I want the Club to push to the next level. And with the players that have come in, I feel like the next level can be reached. "I'm very excited to be starting a new chapter and I felt this was the right place for me to be. The manager is very ambitious and I feel like the club is going in the right direction. 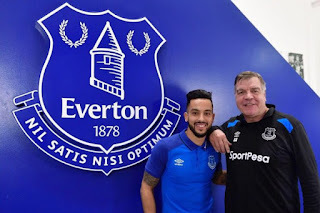 Everton is a club with great history."